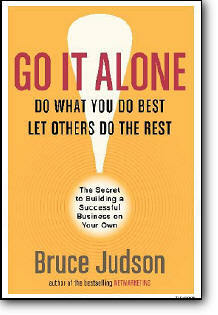 Using the success of his own two start-up companies as formulas for success, Judson offers sound, cogent advice for budding entrepreneurs. A well-known marketer himself, Judson explains how "going it alone" is different from being a typical small-business owner, the key being that the former is able to garner bigger profits despite a lack of resources, whereas the latter's revenue is tied to her own billed hours. So much potential exists, Judson argues, because in today's economy so many aspects of running a business can be outsourced, leaving the business owner to concentrate exclusively on what she does best. No great idea at the ready? 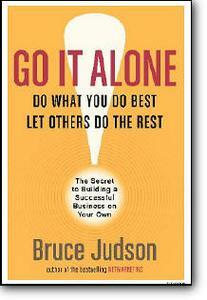 Not to worry, Judson says, as he offers tips for finding a niche in an area where a person might prosper. Rounding out this handy, readable how-to are case studies that examine both successes and failures of go-it-aloners nationwide. An added bonus is a Web site that will feature discussions with the author, other resources, and updated case studies. Highly recommended for general business collections.